From one city skyline to another, Sydney MC Skryptcha digs into hip hop’s East Coast influence for direction and tone on his much anticipated debut full length. 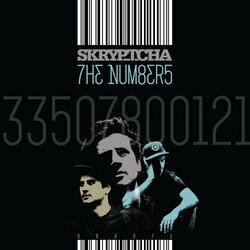 Titled The Numbers, this fourteen track outing is an honest and personal expression of Skryptcha’s personality and love for the music wrapped up in that old boom-bap and soul sound. Like those who have made a mark in the past, The Numbers is a glorious mix of deft production work and intelligent lyricism and story telling. itled The Numbers, this fourteen track outing is an honest and personal expression of Skryptcha’s personality and love for the music wrapped up in that old boom-bap and soul sound.